Though this is not an official AmiciMusic performance, we are always happy to support talented young musicians. 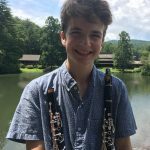 Aaron Lipsky is a phenomenal 15 year-old clarinetist who recently performed on our “Next Generation” concert with fellow teen-ager, Aaron Chen. He has a maturity well beyond his young age and is a tremendous talent. 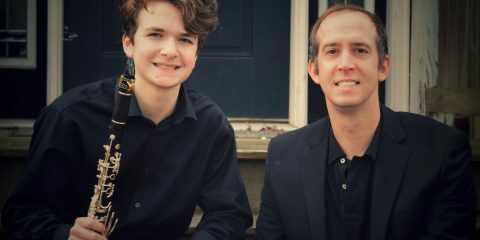 He will team up with Alex Watson, a wonderful pianist who recently performed with me on our “Four-Hand Holiday” program. 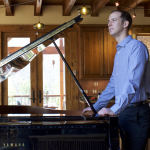 They have planned a very exciting program of American Favorites from Klezmer to Jazz that will include works by Gershwin, Goodman, Joplin, Artie Shaw, and more. I hope you can check it out! All Souls Cathedral is a fantastic and historic venue in the heart of Biltmore Village. Tickets will be available at the door for $18. Or you can buy in advance below for a discounted price. All major credit cards are accepted and you do not need a PayPal account. To buy multiple seats, just click on the yellow “Add to Cart” button and you can add as many seats as you want on the next page. You can also email Aaron Lipsky directly at aaronlipskyclarinet@gmail.com or call Alex Watson at 252-236-5457 to reserve a discounted ticket price that you can then pay at the door.